Who doesn’t love to see the first signs of spring? Beautiful, showy early blooms of daffodils, tulips, bridal wreath spirea, forsythia, dogwoods and of course, redbuds. 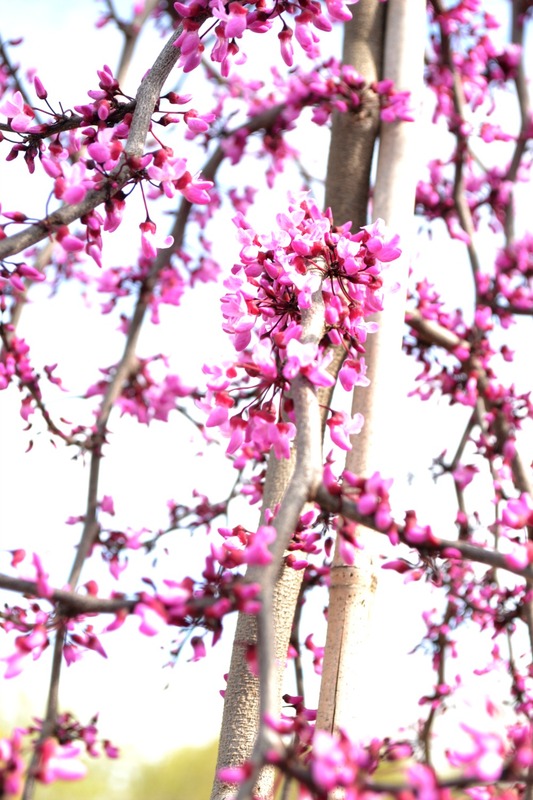 These native trees provide the splashes of purple and pink that dot the wood lines as you drive along many roads in the Piedmont region of North Carolina. Lavender-rose colored blooms precede the beautiful apricot foliage that matures into shades of gold, orange and lime green. 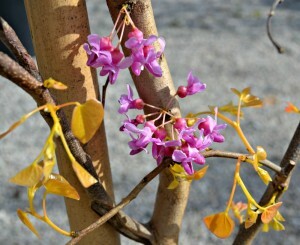 A great small specimen that is resistant to leaf burn in the summer months. 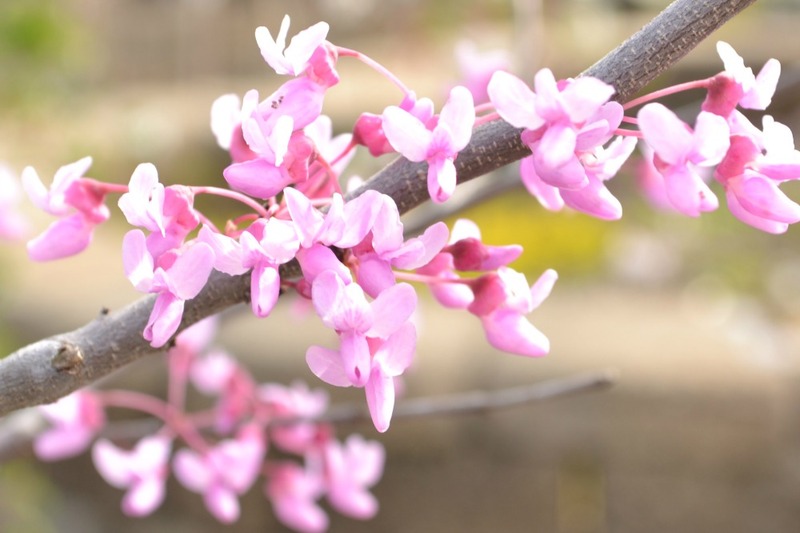 If you want a tree that provides both beautiful blooms and colorful foliage, then Carolina Sweetheart Redbud is the tree for you! Beautiful pink to purple blooms emerge in early spring before the tree leafs out. 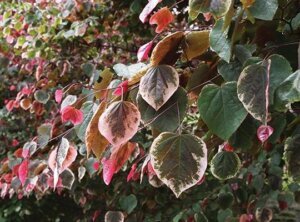 After flowering, leaves begin to emerge in shades of purple which quickly fade into shades of pink, green and white. 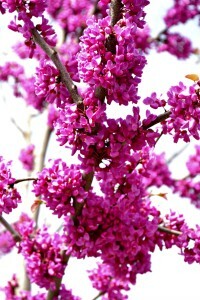 Fantastic new weeping Redbud with excellent purple foliage. 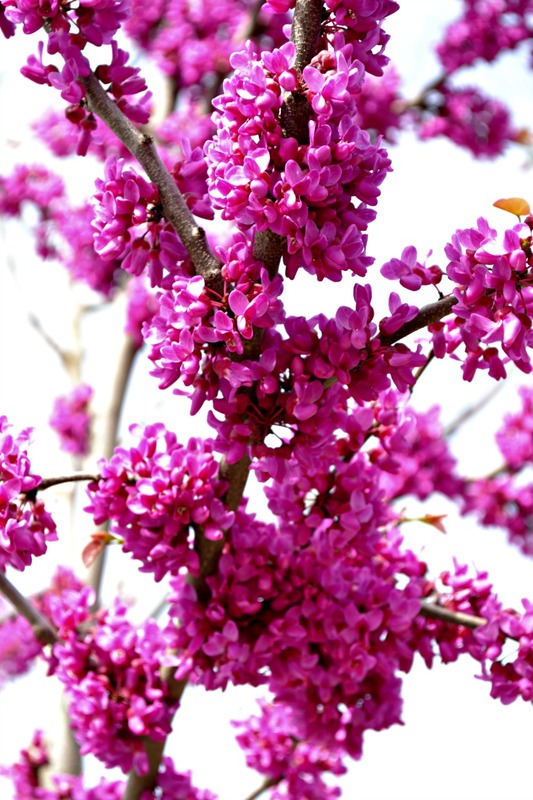 Blooms prolifically in early spring a pink/purple color before foliage appears. Very handsome rosy-magenta blooms of small sweet-pea-shaped blooms in spring. 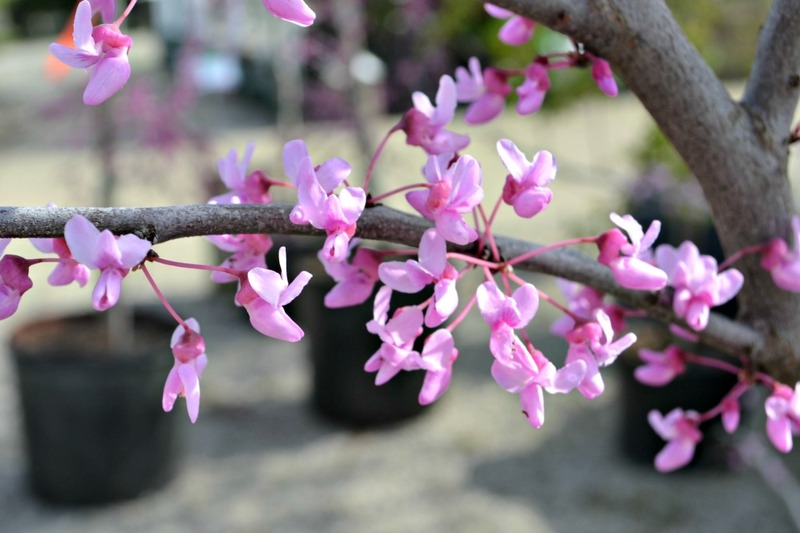 This eye-catching weeping variety of Redbud has rosy lavender pink flowers in spring before foliage appears. The beautiful blooms are long lasting. 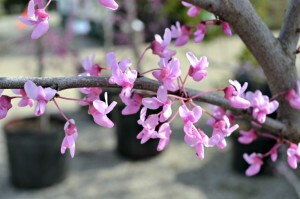 A phenomenal hybrid redbud with lustrous purple foliage and great drought tolerance. 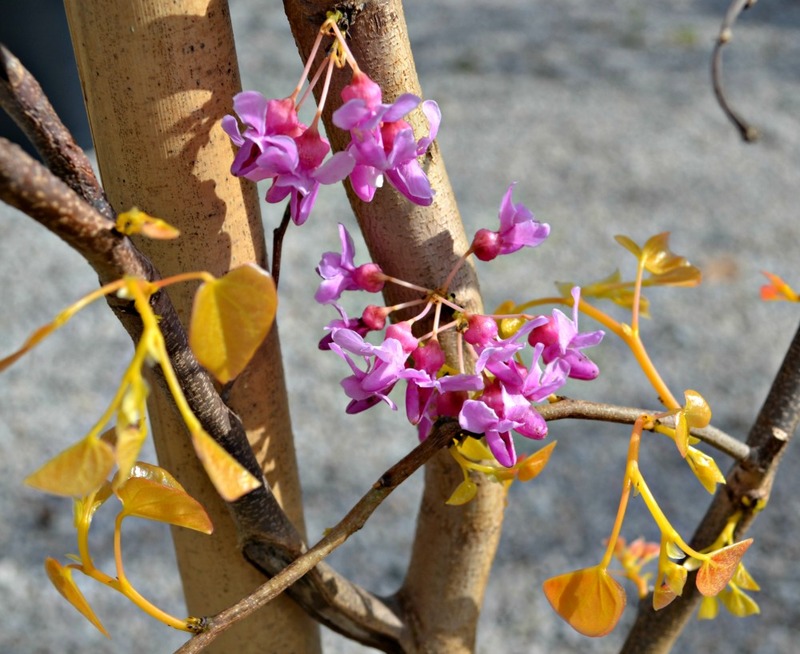 Great as a small specimen or understory tree.